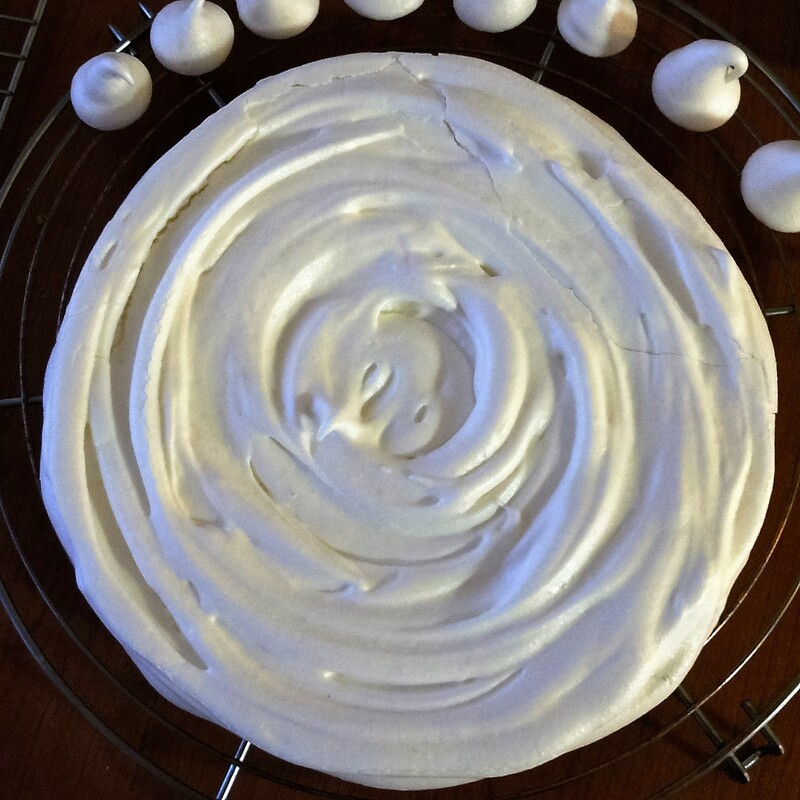 This meringue’s based on a classic recipe in ‘Roux brothers on pâtisserie‘. They suggest you always have a few prepared meringue nests around to whip up amazing desserts for impromptu meals, so your diet plan could be: don’t eat all of these but store some! Ahem.. 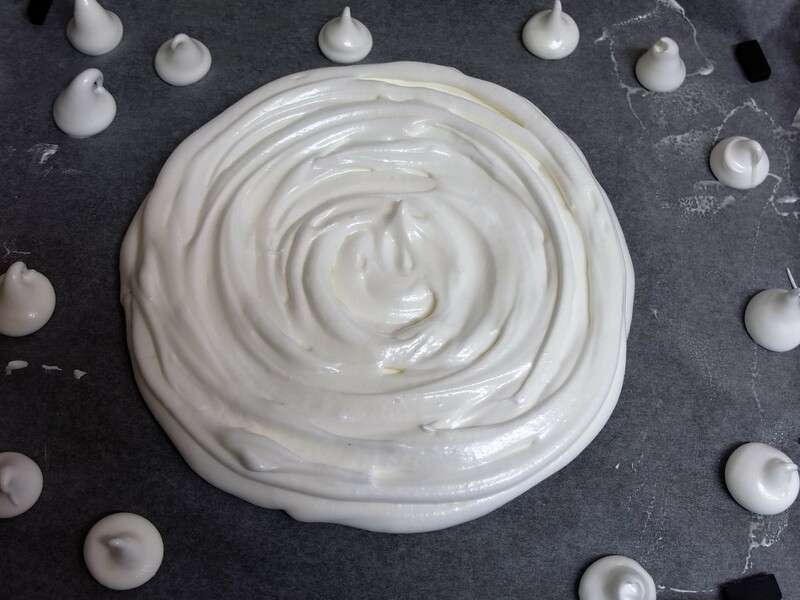 I prefer this recipe because you gradually whisk the caster (superfine) sugar into the whites to dissolve it then delicately fold in the icing (powdered) sugar so the meringues are light with a wonderful texture, not too dry but lovely and smooth without any sugar crystals. A meringue so lovely it’s hard to resist. Tip: when you separate your eggs there must be no egg yolk at all in the whites and your bowl must be completely clean (wash well and rub clean with vinegar/lemon if you like). Otherwise the whites won’t rise so well. Prepare a baking tray (30x40cm) by placing baking paper on it (optional: you can grease very lightly with light olive oil or vegetable oil). Draw any circles you need with a pencil then turn the paper upside-down so you don’t get marks on the meringue. 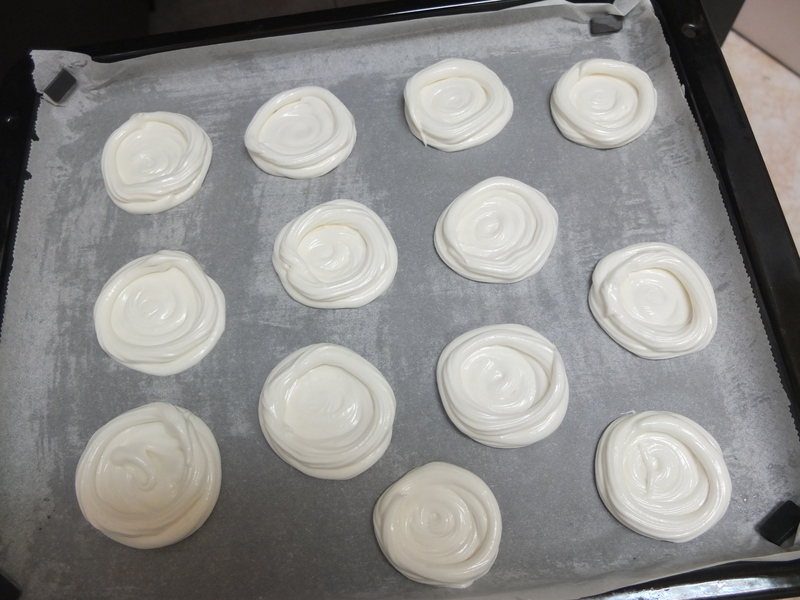 For meringue discs get your medium-large nozzle (French size 12 to 14) and disposable piping bag ready. For small nests use a fairly small nozzle so they aren’t too thick. 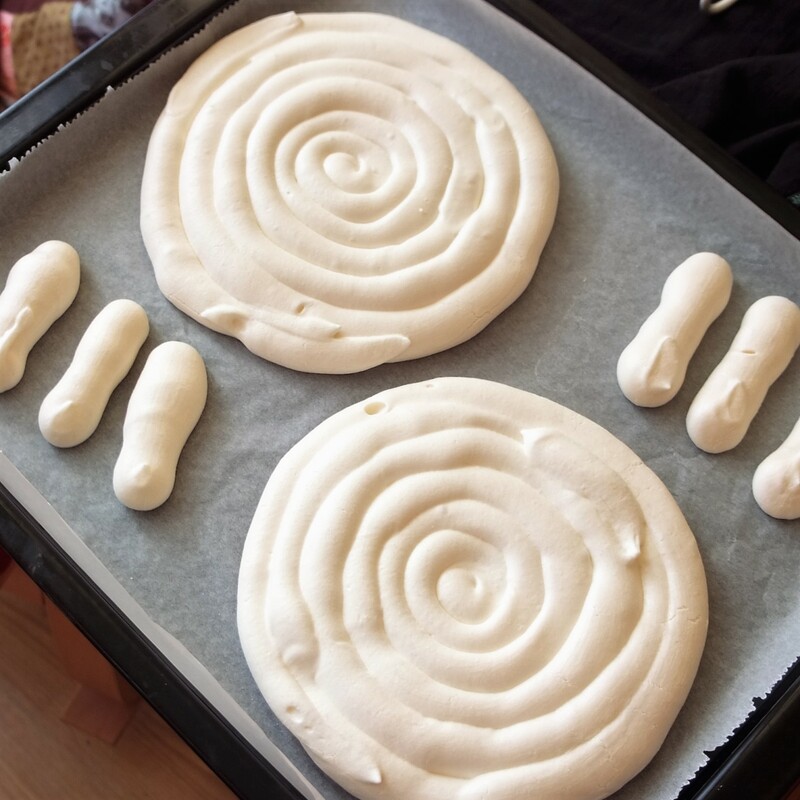 Immediately pipe the meringue nests or discs and some little fingers or kisses with any extra mixture on the prepared baking tray. Place in the oven and immediately lower the heat to 100°C/210°F (static, non-convection oven) or 80°C/175°F (fan-assisted oven), DON’T OPEN THE OVEN DOOR FOR THE FIRST 90 MINUTES, and bake for 1 hour and 45 minutes to 2 hours. If they are dry on top and underneath, they’re ready to come out. Otherwise let them stay in there a bit longer. 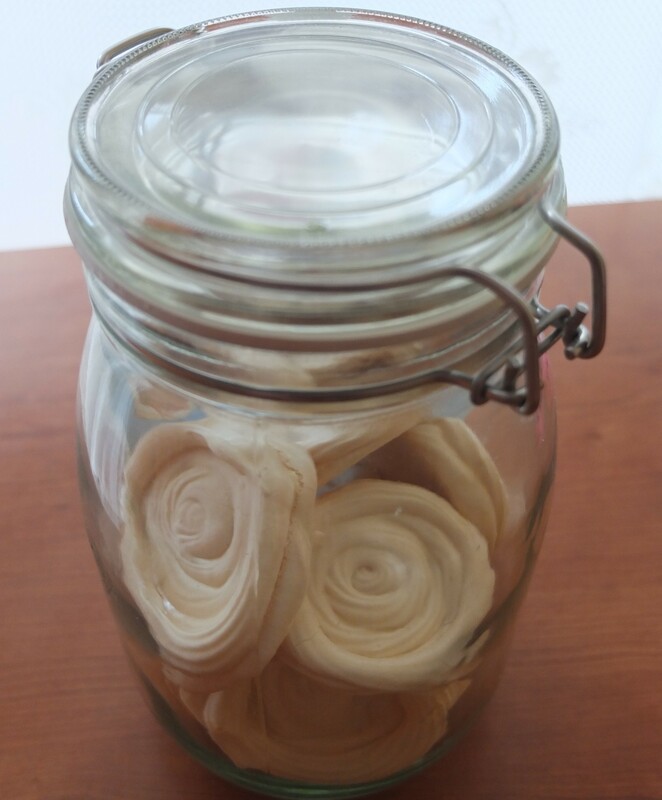 Let them cool completely for around 3 to 5 hous on a wire cooling rack before filling or using in a cake (meringue keeps for up to 2 weeks wrapped in paper then foil, or an airtight tin/glass jar in a dry environment).